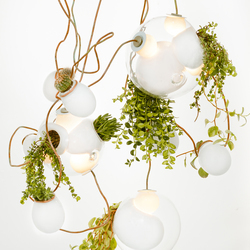 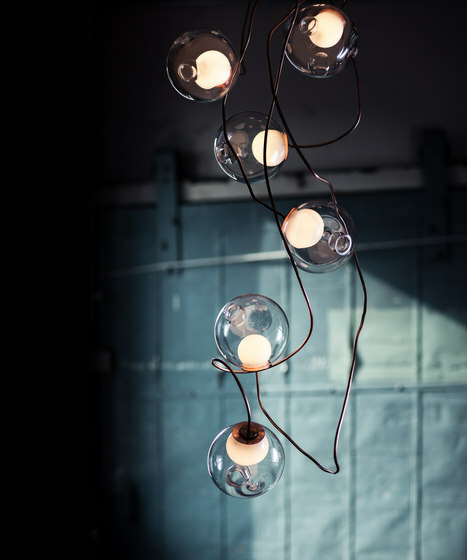 28 series is an exploration of fabrication process which is part of creative director, Omer Arbel’s, quest for specificity in manufacturing. 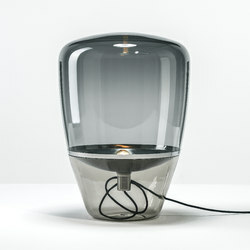 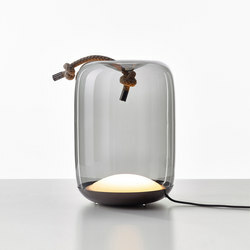 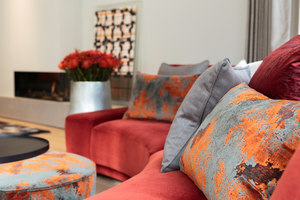 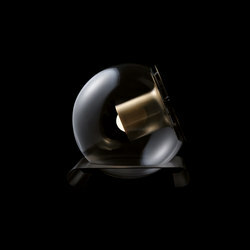 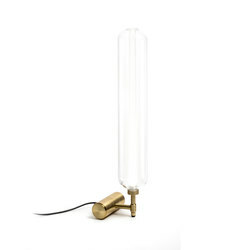 Instead of designing form itself, the intent for the 28 series was to design a system that produces form. 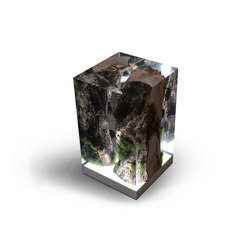 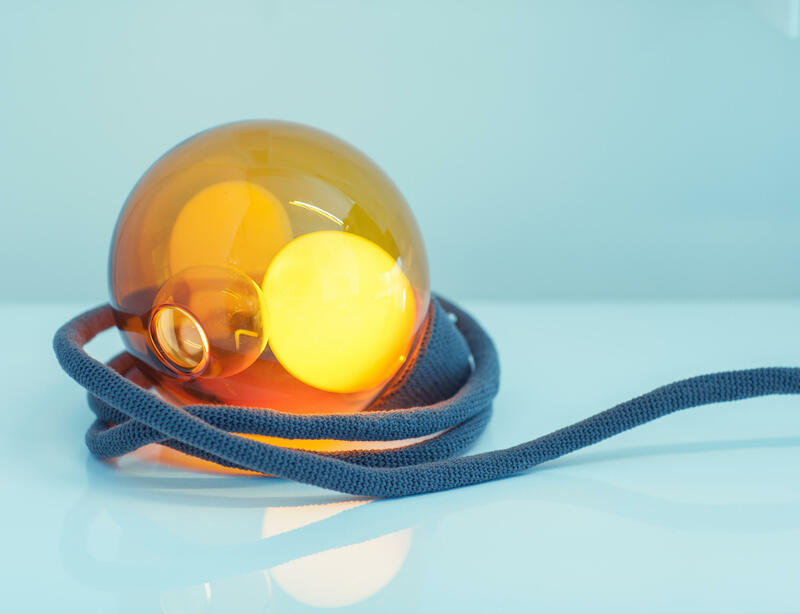 Arbel developed a method that has loose parameters built into it, which produces a different shape in every iteration of the fabrication procedure. 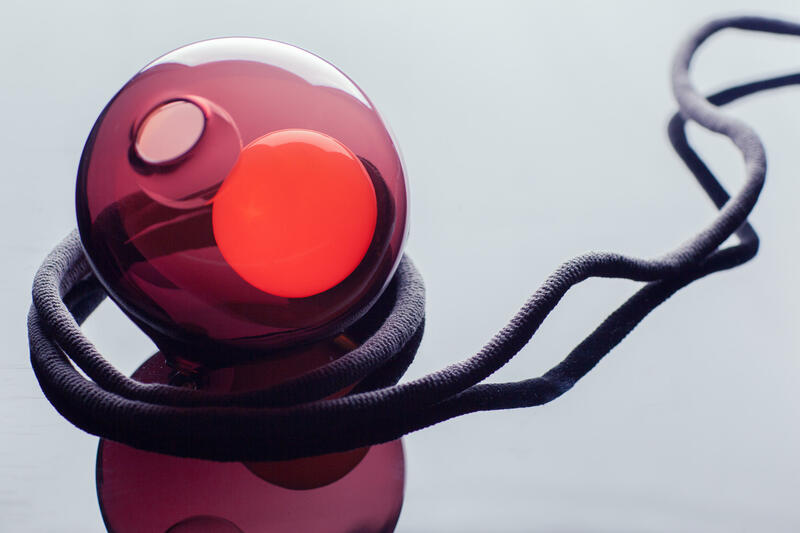 Thus, every 28 series pendant made is formally different from any other in existence. 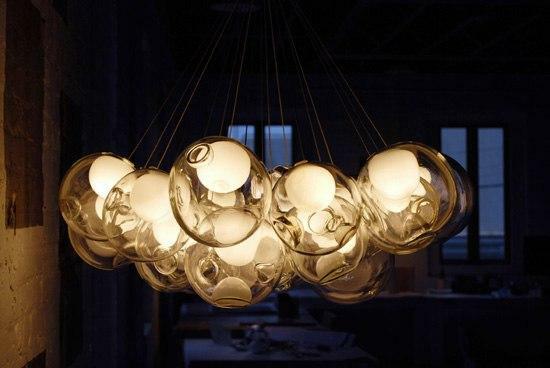 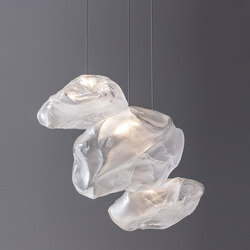 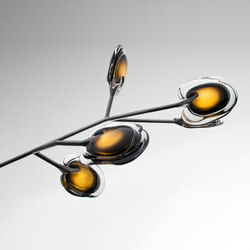 Individual 28 series pendants result from a complex glass blowing technique whereby air pressure is intermittently introduced into and then removed from a glass matrix (which is intermittently heated and then rapidly cooled). 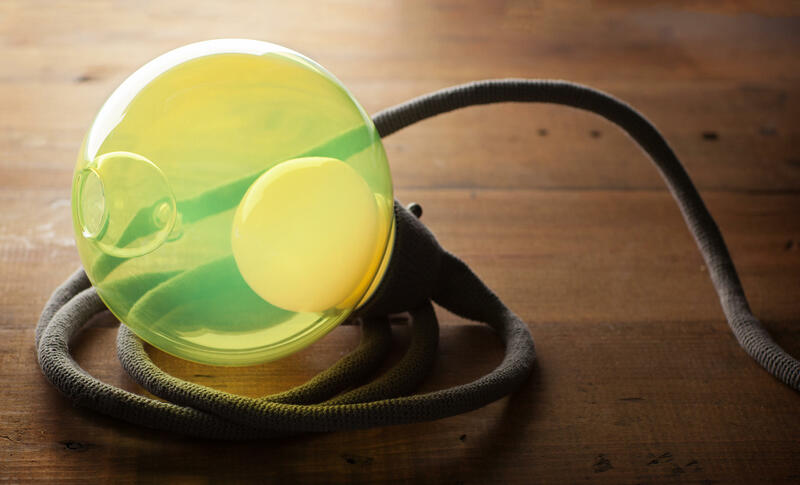 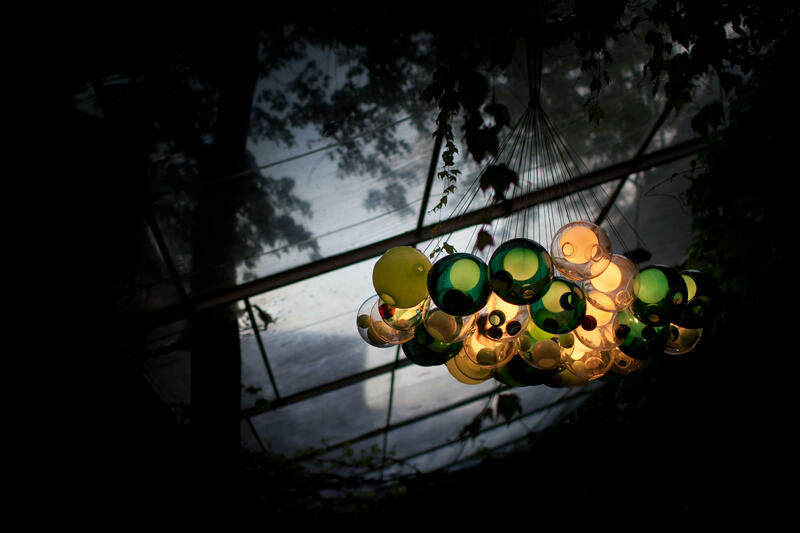 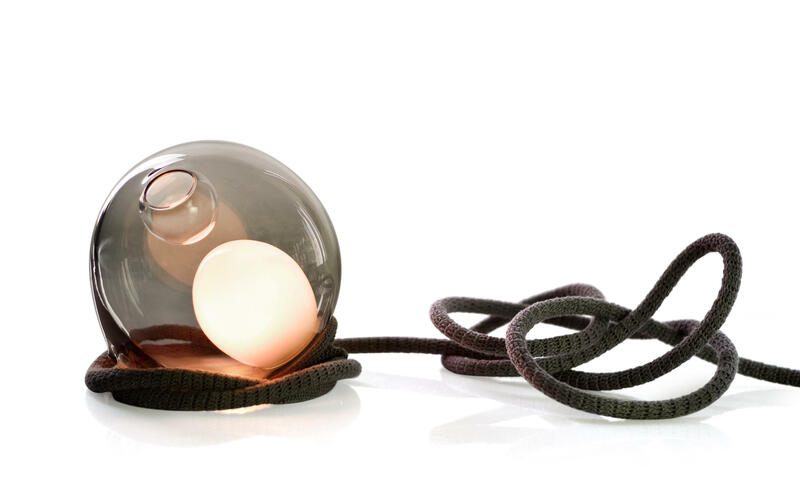 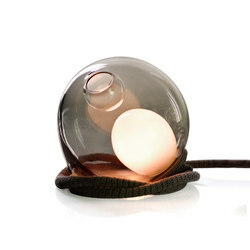 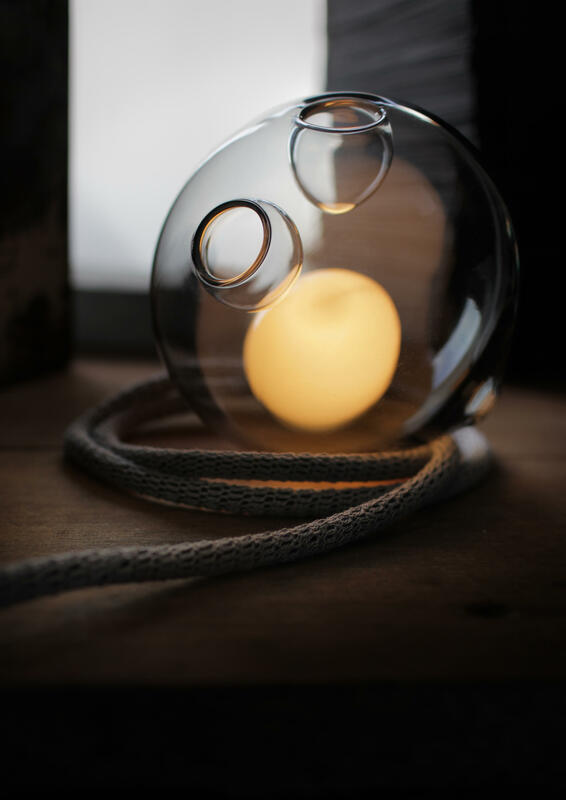 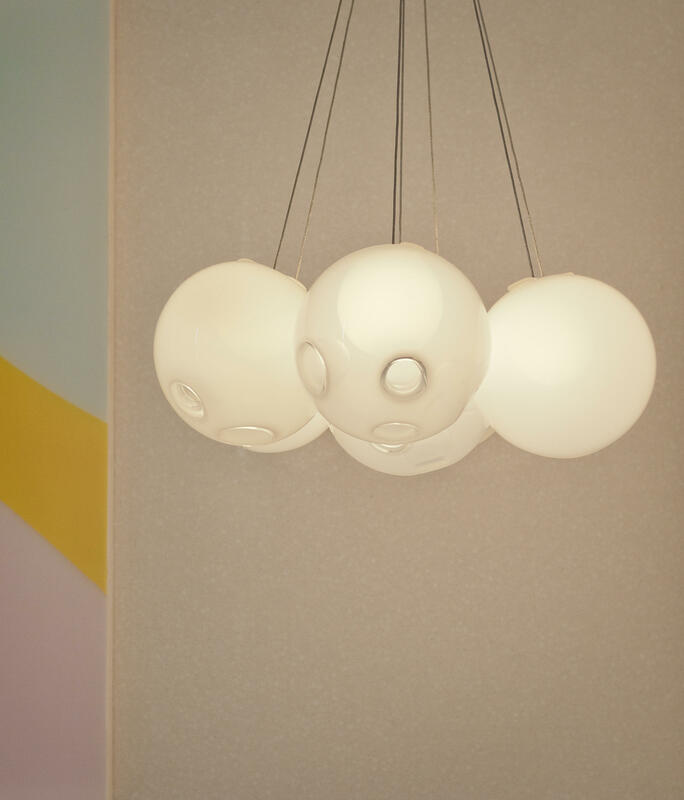 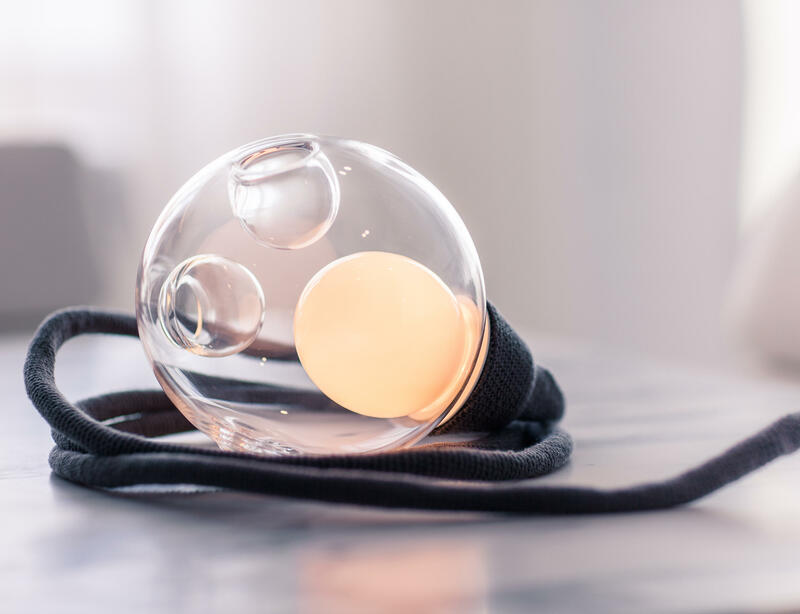 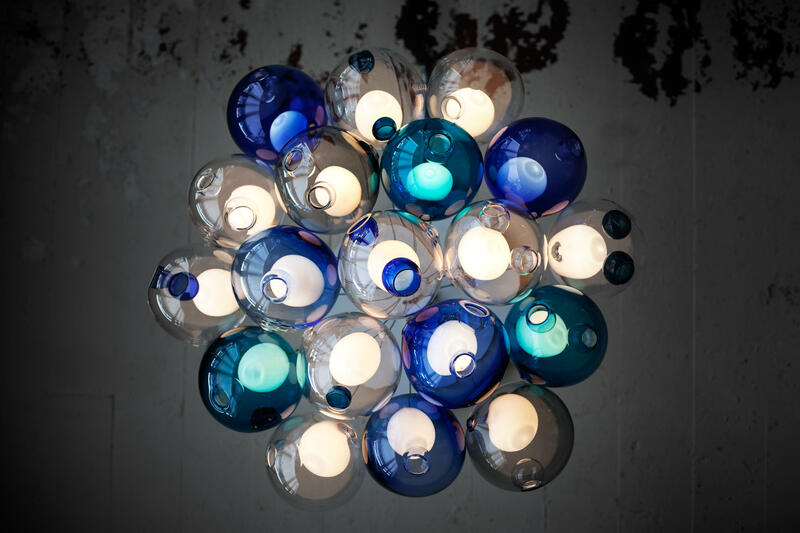 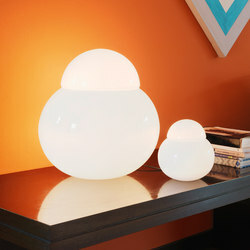 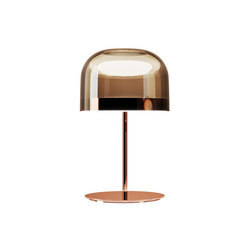 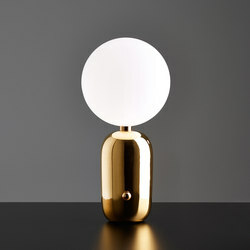 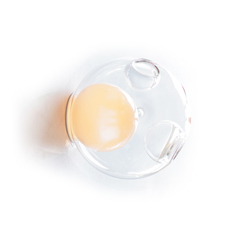 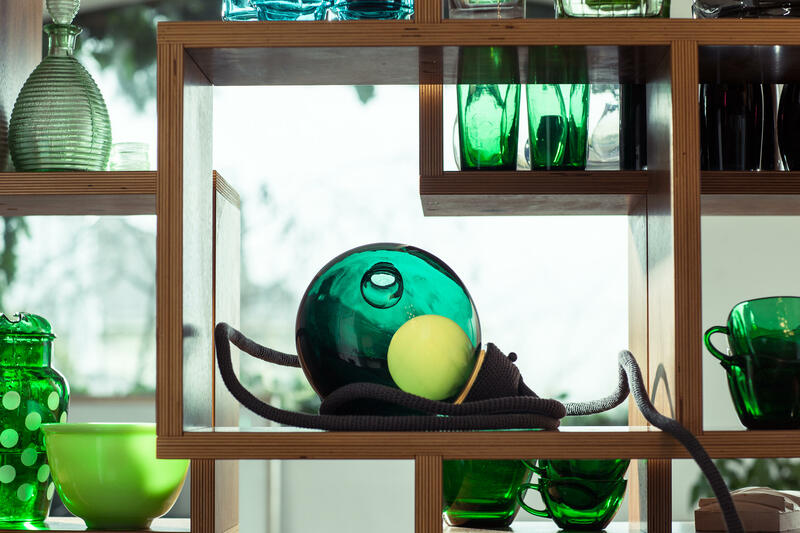 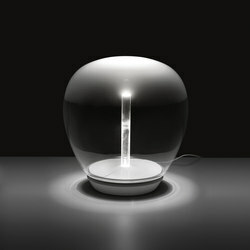 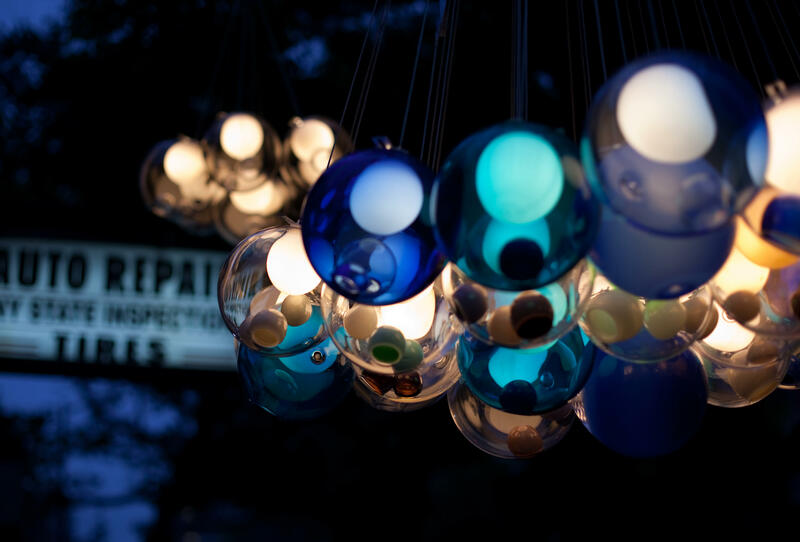 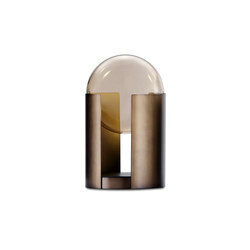 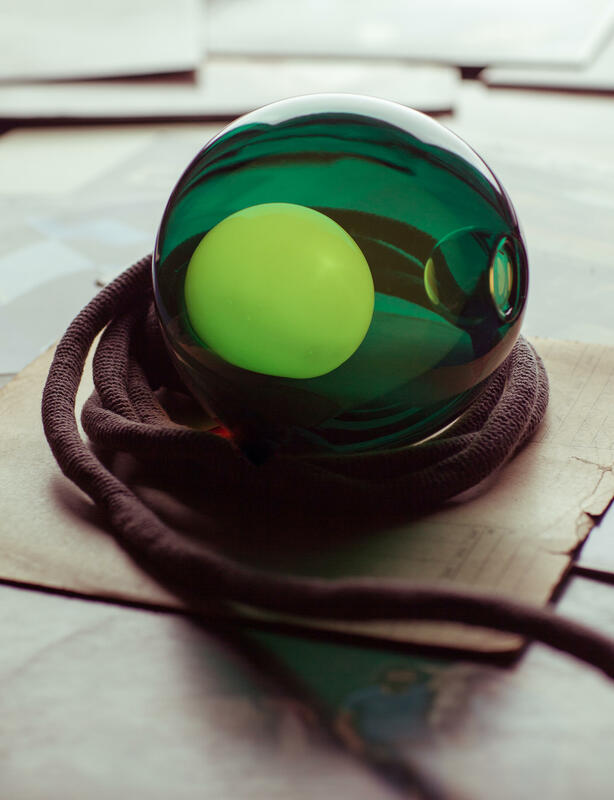 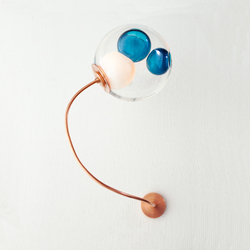 The result is a distorted spherical shape with a composed collection of inner shapes, one of which is made of opaque milk glass and houses a low voltage (12V, 20Watt xenon) lamp. 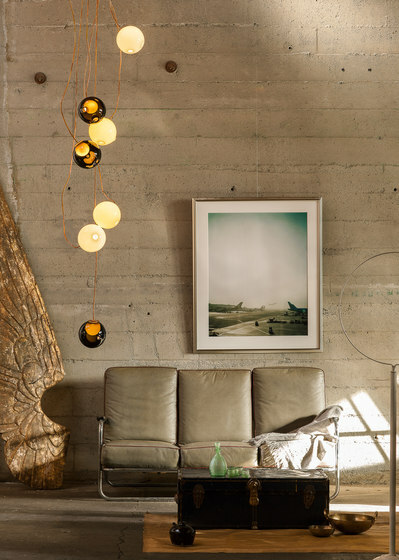 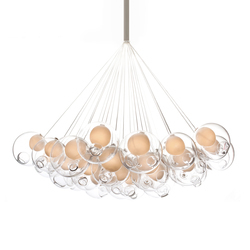 28 series pendants are designed to cluster in hexagonal shapes, which nestle into one another to create patterns as dictated by the needs of the interior. 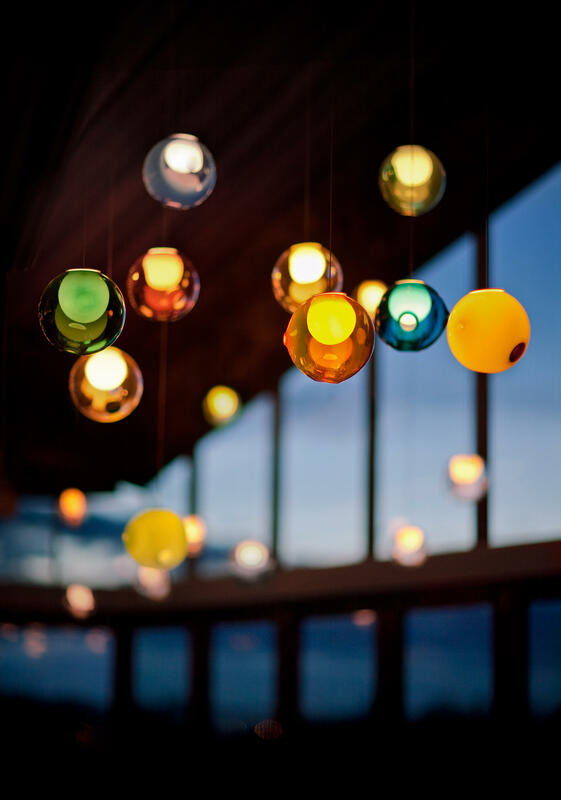 They may also be clustered or composed in an ambient manner similar to their distant cousins the 14’s. 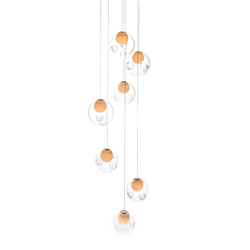 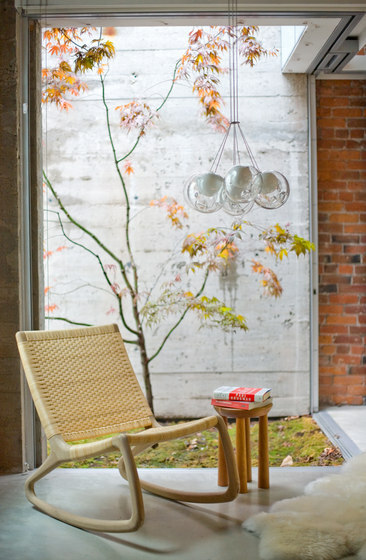 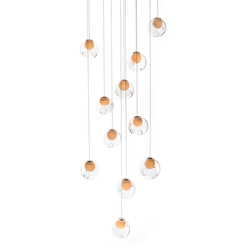 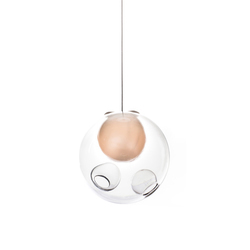 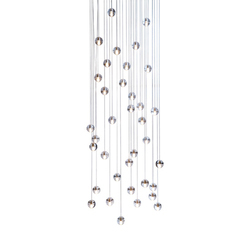 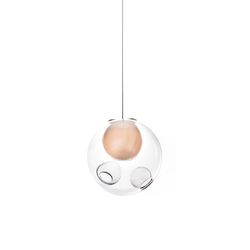 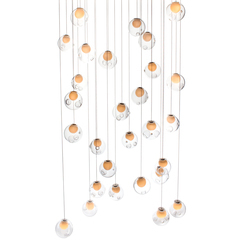 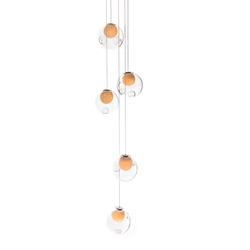 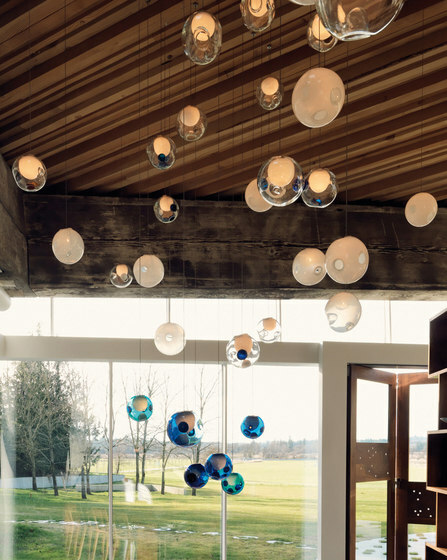 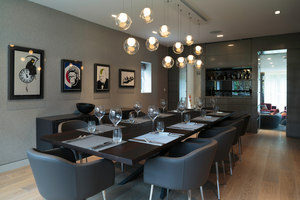 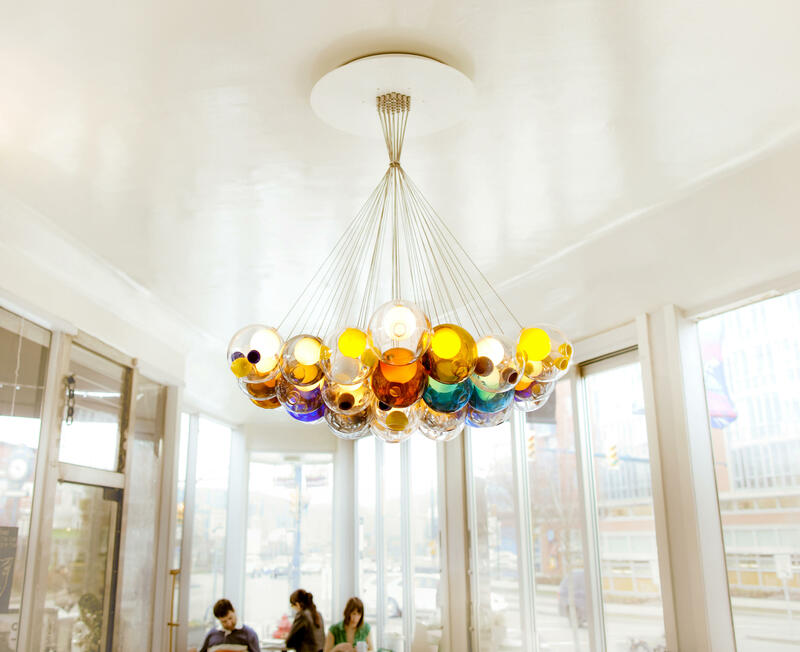 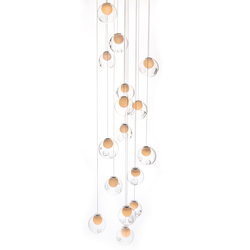 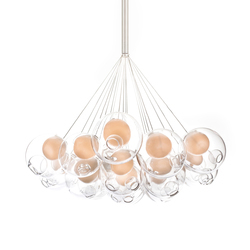 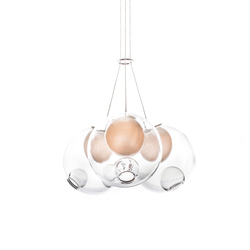 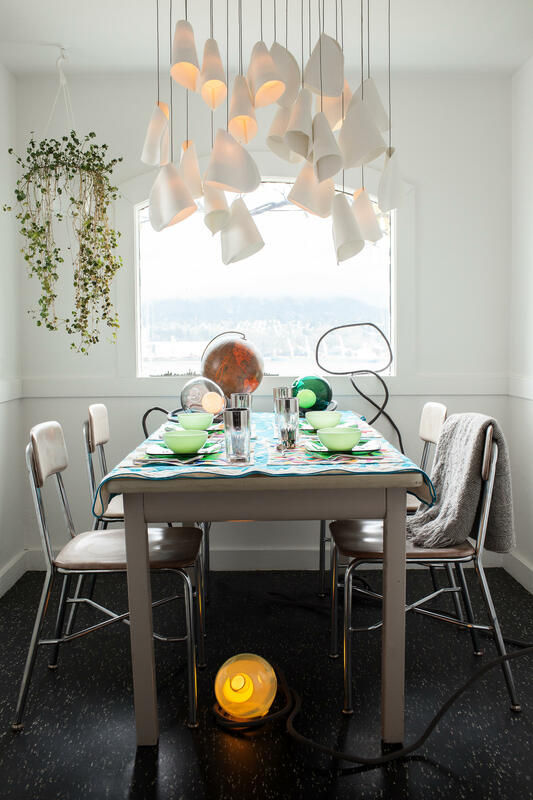 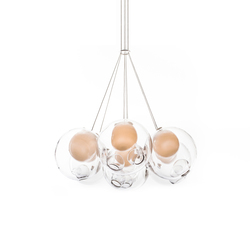 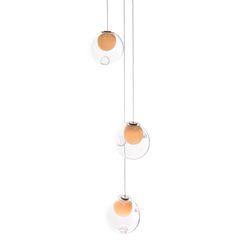 Standard 28 series pendants are made with clear glass exterior spheres and milk white interior glass cavities. 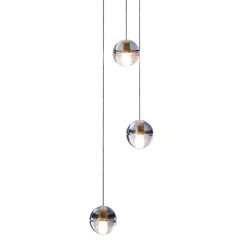 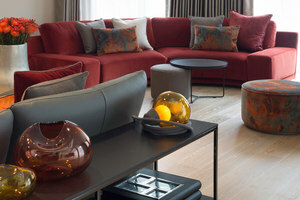 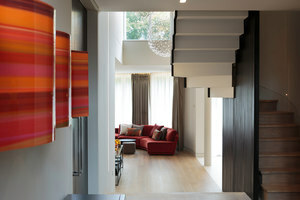 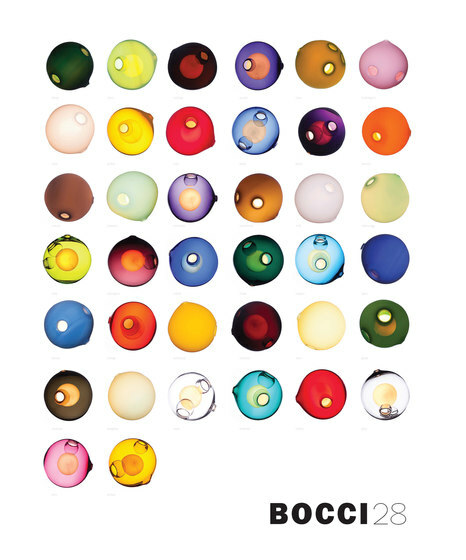 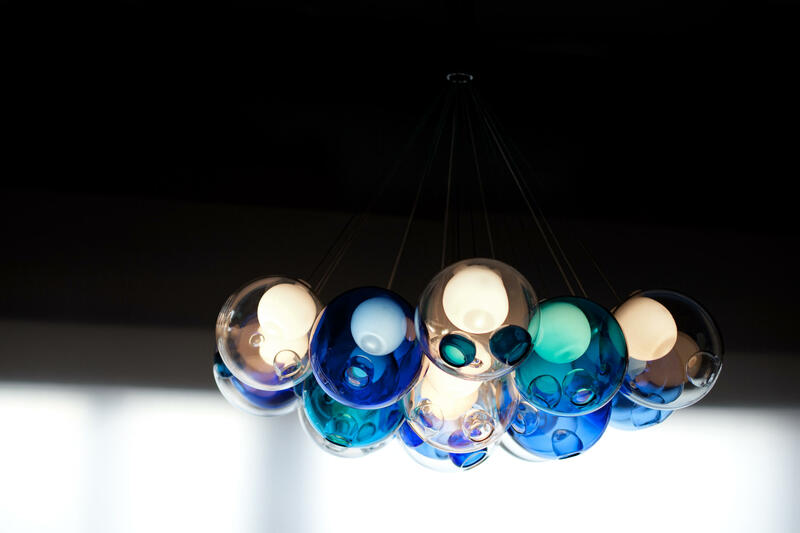 Custom 28 series pendants are possible with infinite versatility in colour compositions, sizes and shapes.